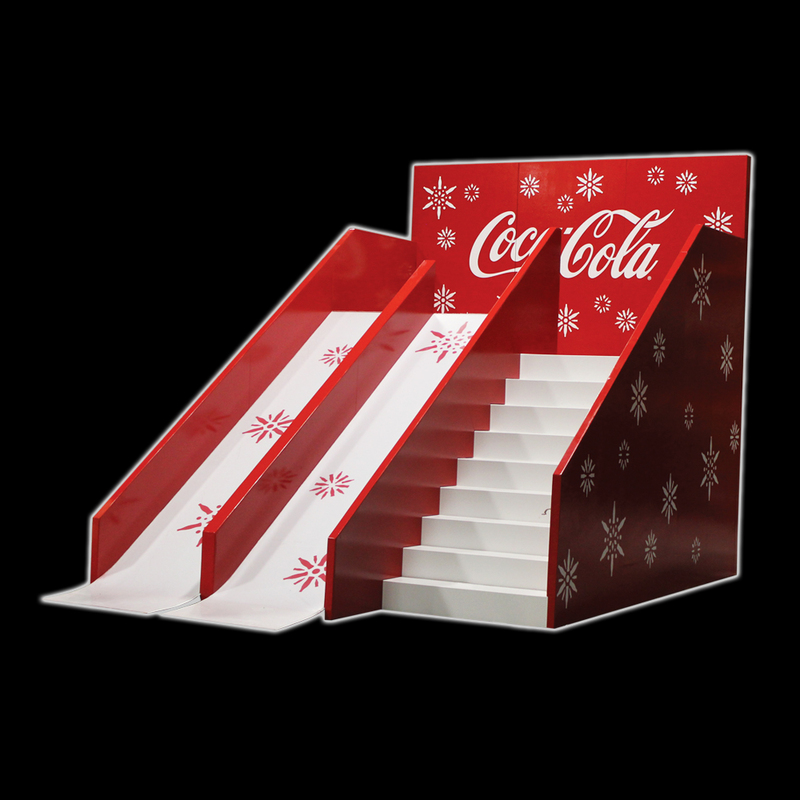 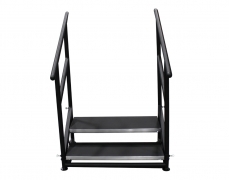 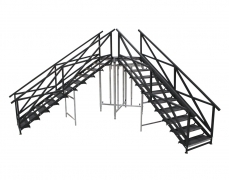 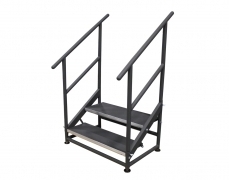 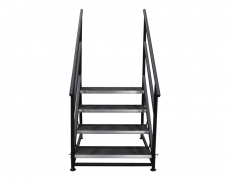 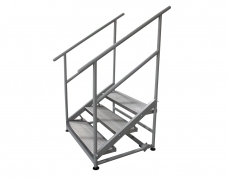 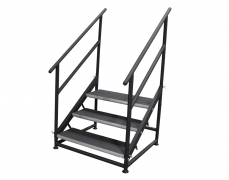 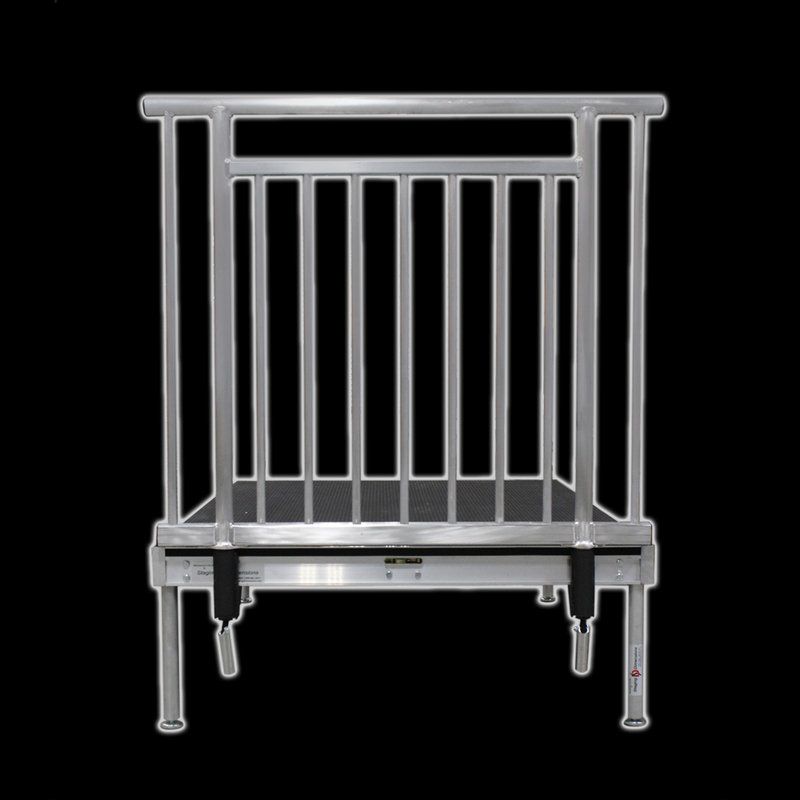 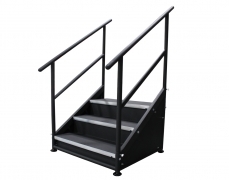 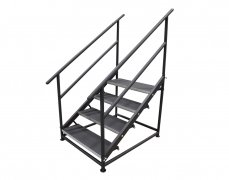 All fixed height stair units can be constructed as Free-Standing Units. 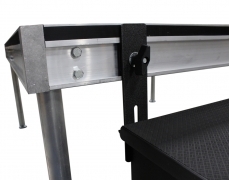 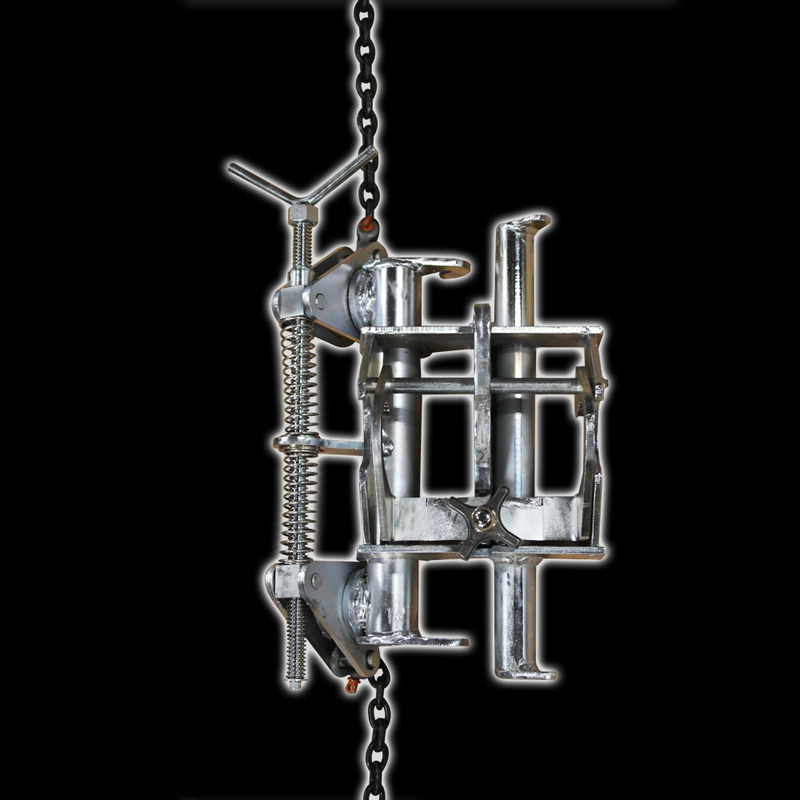 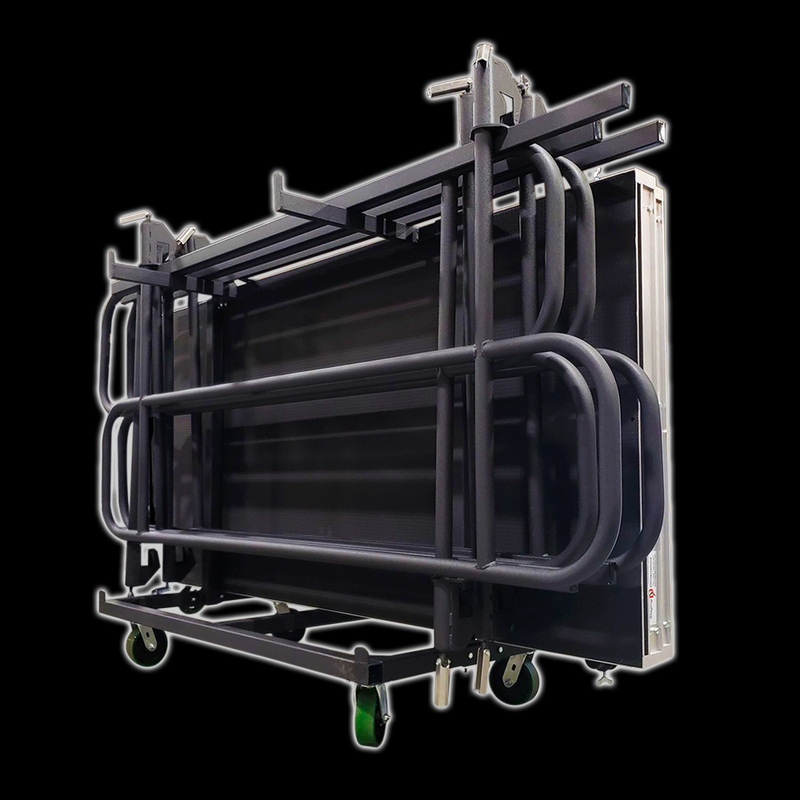 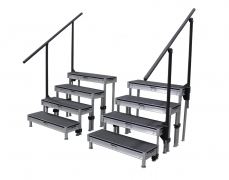 Free-standing stair units can be used to access existing solid faced staging where attachment with our clamp system is not an option. 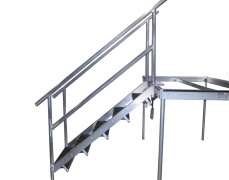 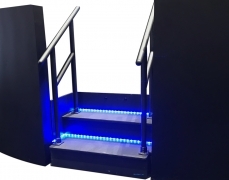 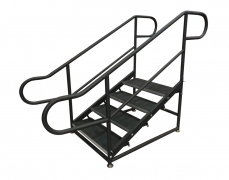 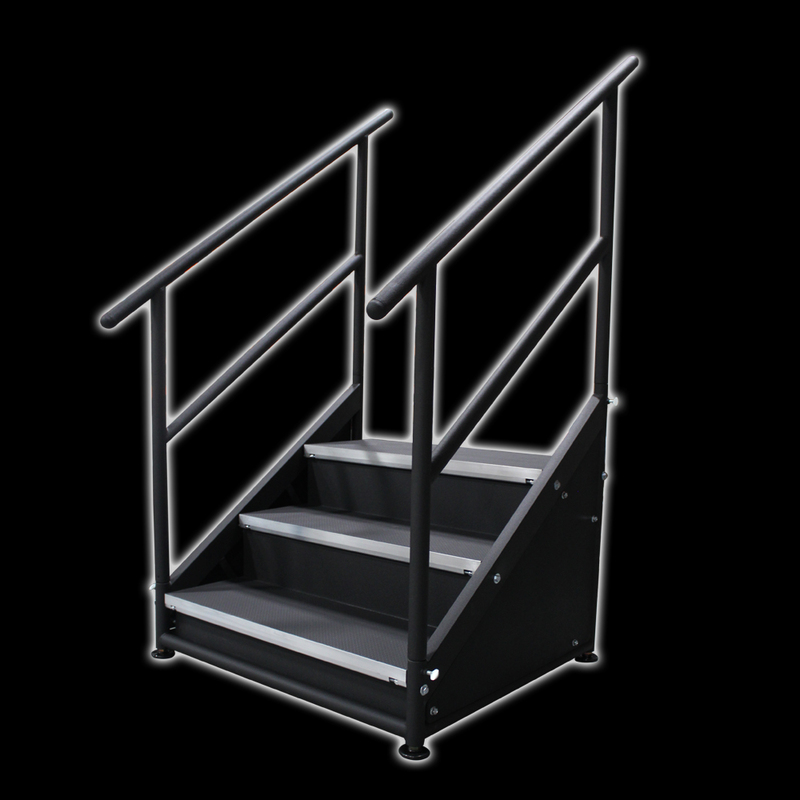 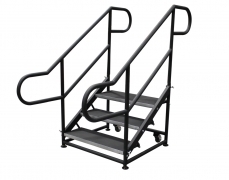 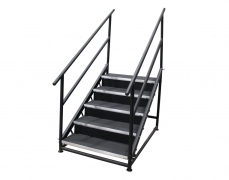 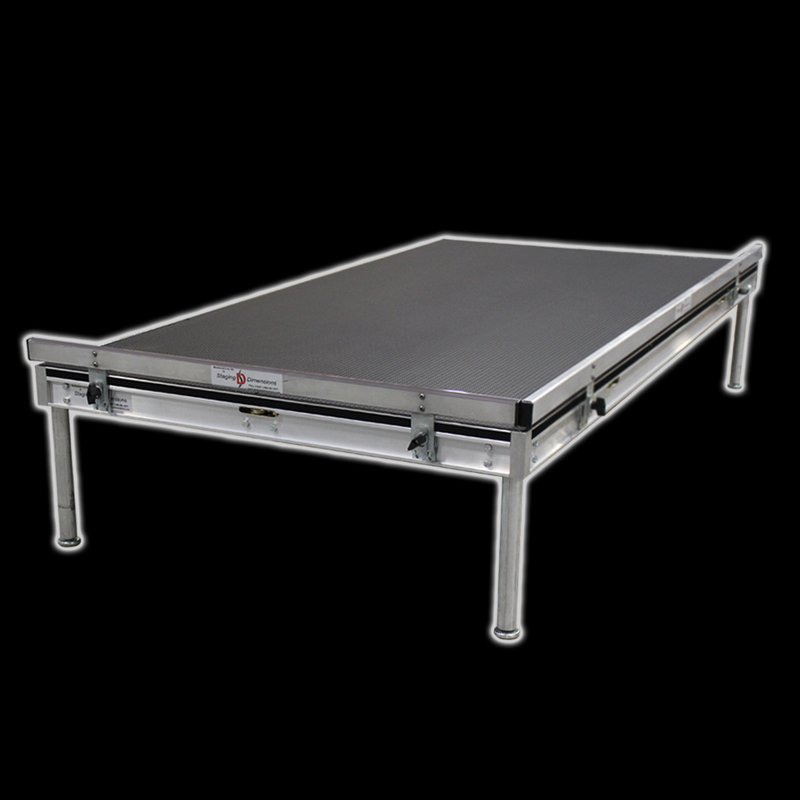 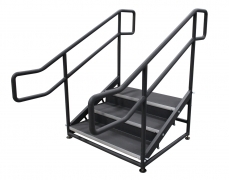 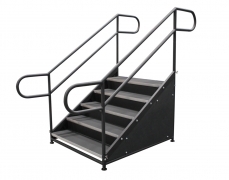 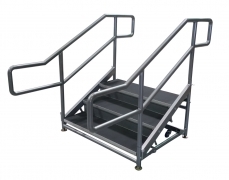 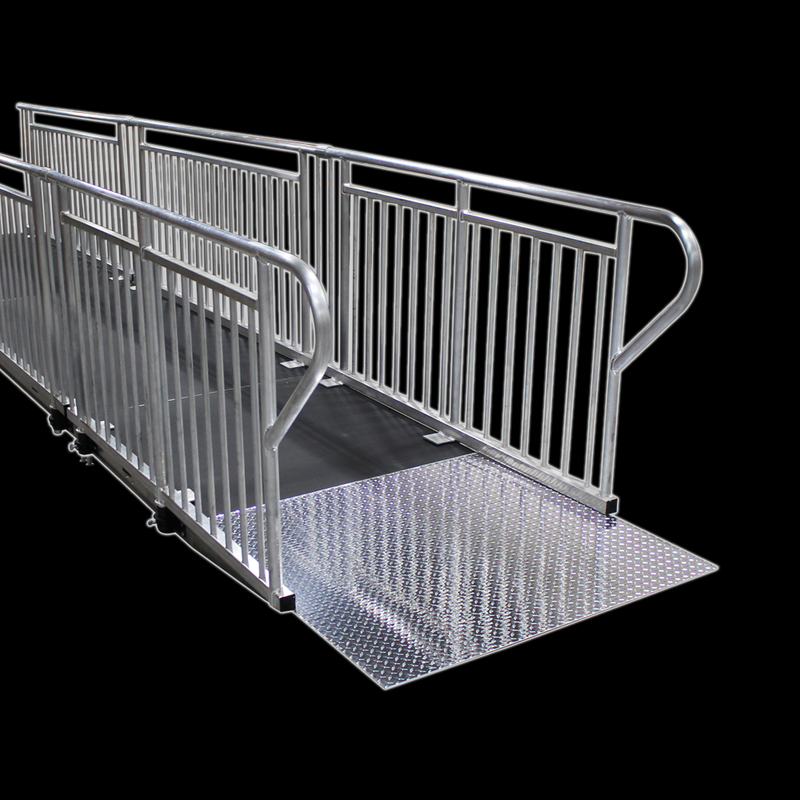 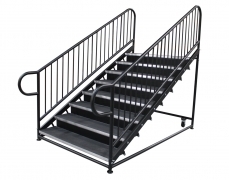 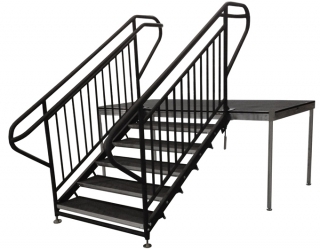 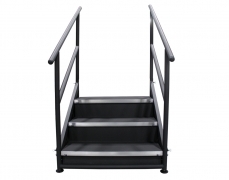 These stair units can be custom built to your specification out of steel or aluminum. 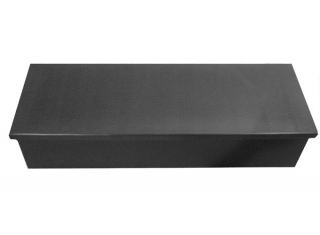 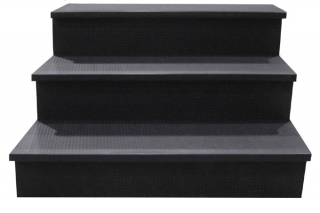 Stair Boxes can be constructed using any of our surface options instead of the steel or aluminum frame stair systems. 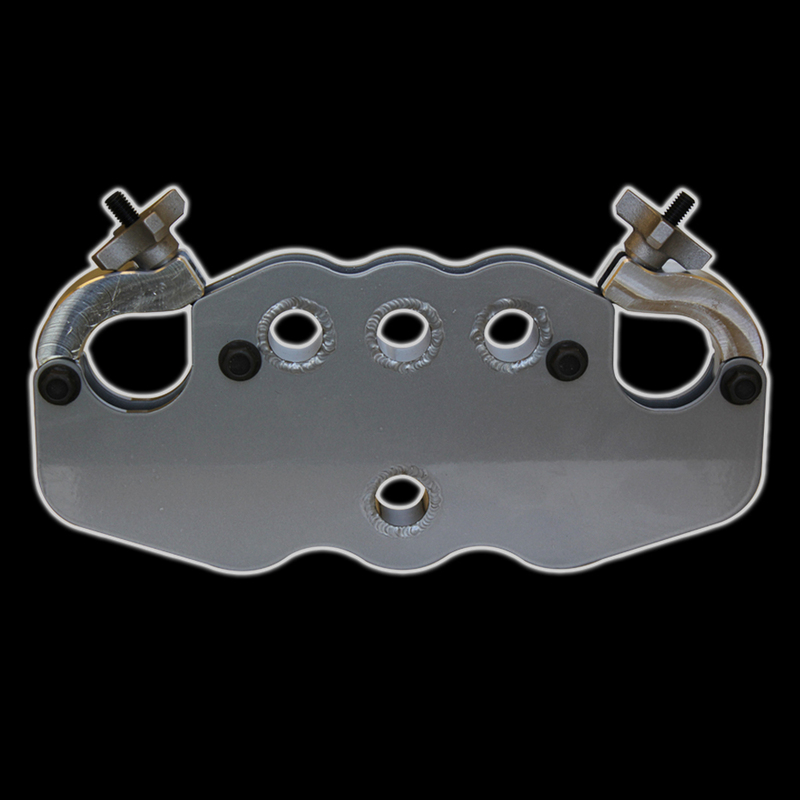 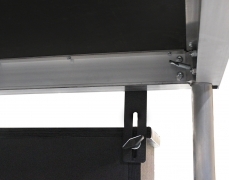 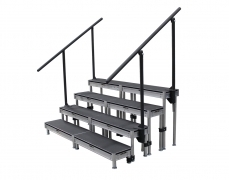 They are available as fixed height, and free standing in a variety of widths. 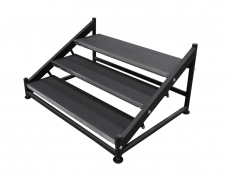 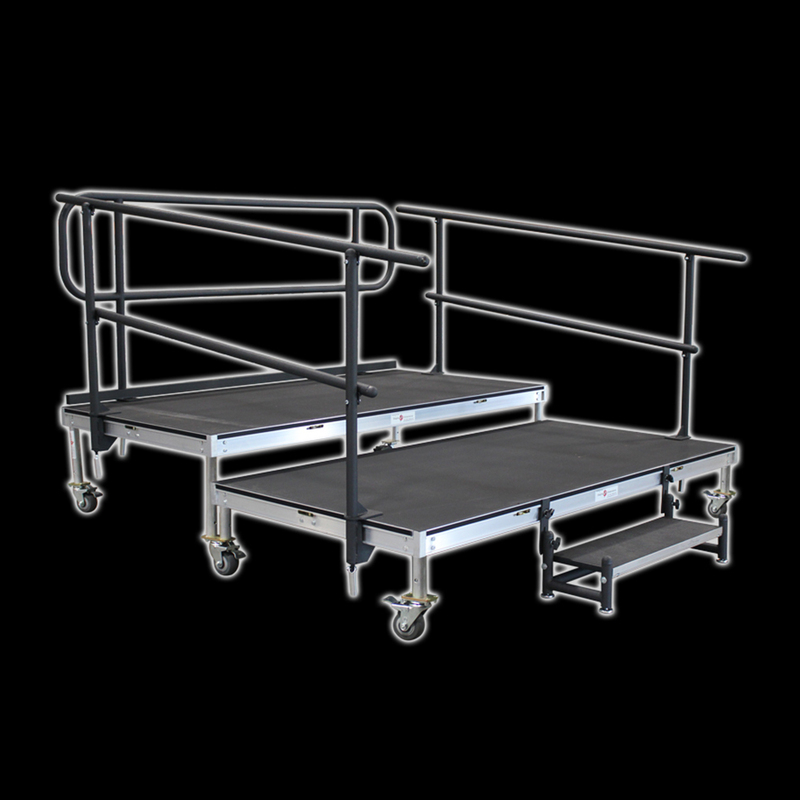 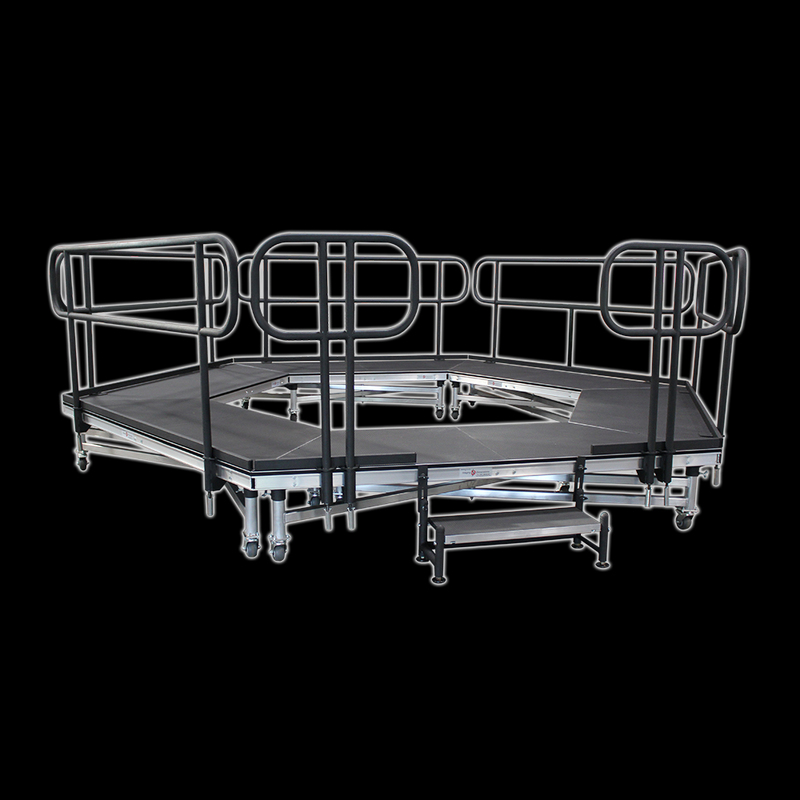 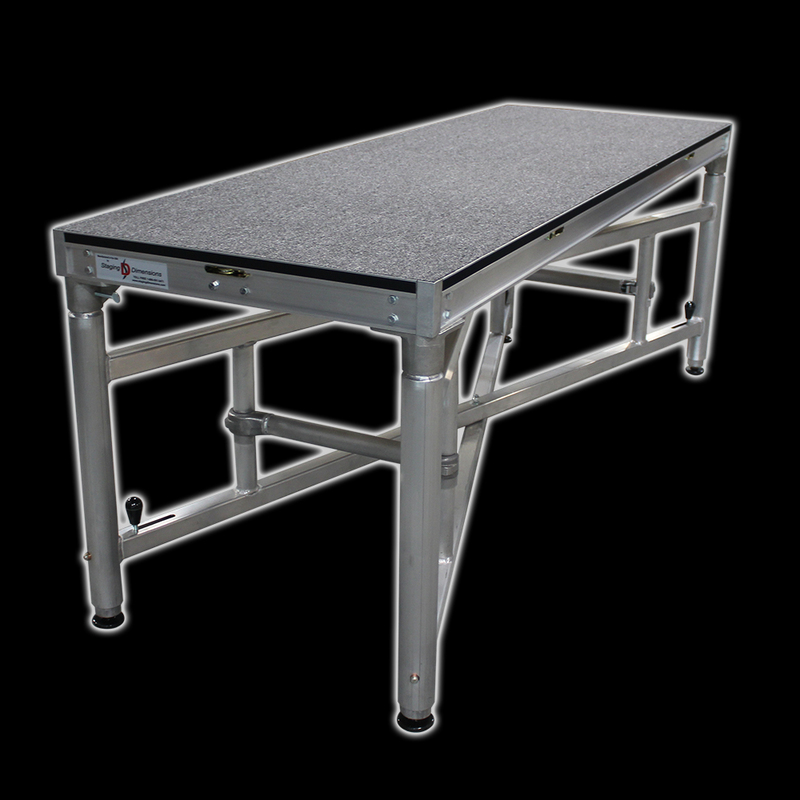 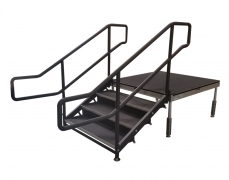 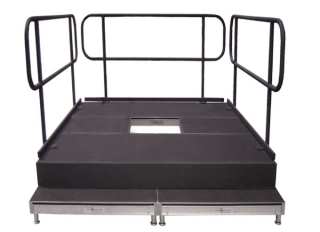 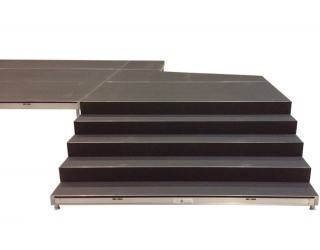 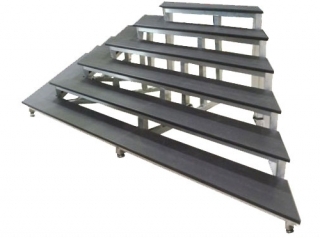 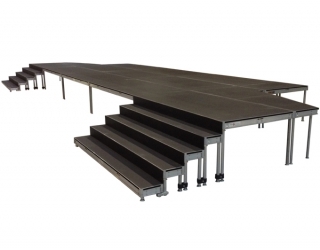 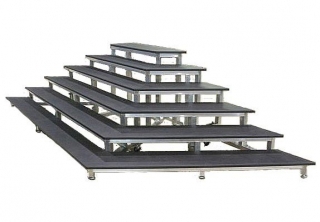 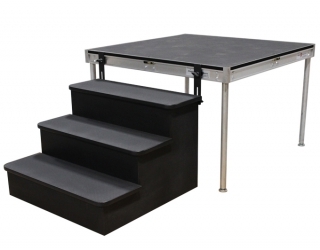 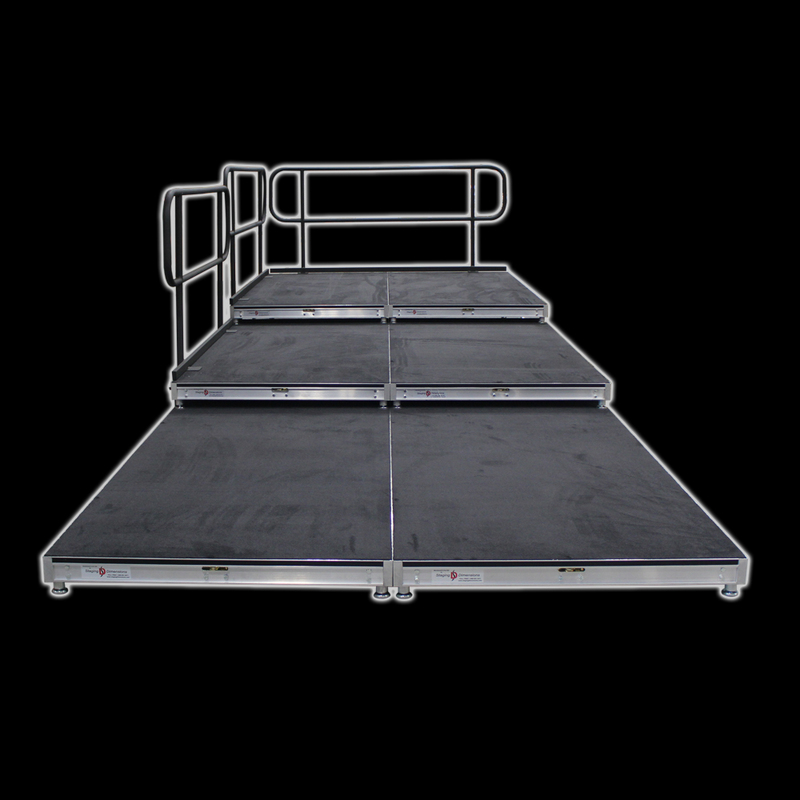 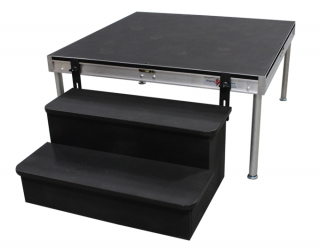 Custom Stair Units can be designed and built using stage decks, standard or unique materials to meet individual needs. 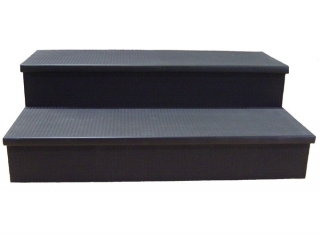 Above are photos of custom stair units that we have designed and built in the past.